CAMPAIGNERS will march to Cardiff City Hall on Saturday 29th April to demand protections to Cardiff’s grassroot music venues. Save Womanby Street (SWS) campaigners will join venue owners, musicians and politicians to meet Cardiff’s local party leaders. The campaign, launched last month, already has the backing of thousands including Cardiff MPs Jo Stevens and Kevin Brennan. It wants Cardiff Council and the Welsh Government to change planning policies to protect music venues against noise complaints. 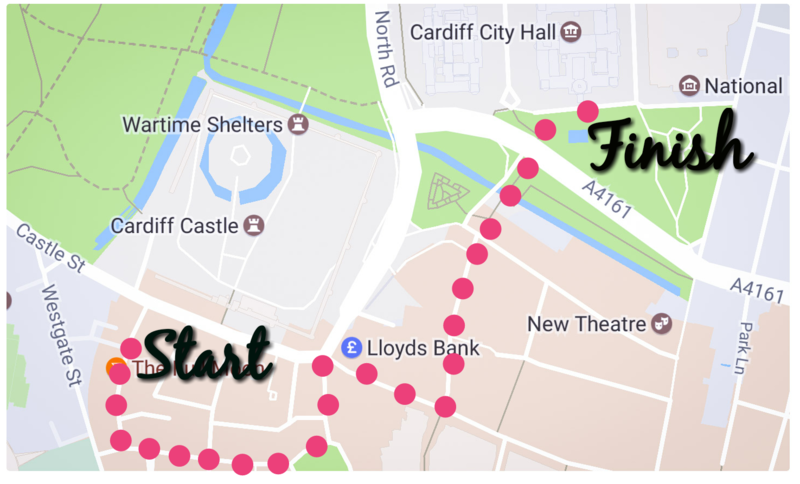 On Saturday leaders of Cardiff Liberal Democrats, Cardiff Plaid Cymru and the leader of Cardiff Labour party will address the crowd at City Hall to outline their plans to support the campaign. The march will then return to Womanby Street where venues are hosting a weekend of performances to celebrate the area’s cultural importance. It is being held in response to planning developments on the street that campaigners say threaten music venues with possible closure. This includes proposals to build six flats next to Clwb Ifor Bach and confirmed plans to create 17 hotel rooms at Wetherspoon’s bar The Gatekeeper. The march will leave at 5pm from Womanby Street with guest speakers at City Hall at 5.30pm. The Save Womanby Street Campaign is a group of business owners, musicians, community activists and industry experts based on Womanby Street who have come together to protect Cardiff’s cultural heritage. They are lobbying Cardiff Council to amend the city’s Local Development Plan to make the street an area of cultural significance and night time economy zone. The group also want the Welsh Government to amend wider planning policy to protect music venues against noise complaints. The campaign was launched on March 19 and has gained the support of thousands people from across Wales. The campaign is supported by Musicians Union and the Music Venue Trust. The campaign has the backing of Jo Stevens (Cardiff Central MP),Neil McEvoy (Fairwater Cardiff councillor and South Wales Central AM), Jenny Rathbone (Cardiff Central AM), Julie Morgan (Cardiff North AM) Kevin Brennan (Cardiff West MP) and Stephen Doughty (Cardiff South and Penarth MP). Formally object to the proposed residential development on 9 Womanby Street. Work with Save Womanby Street to develop planning protections for live music venues on Womanby Street and across Cardiff. Help Save Womanby Street lobby Welsh Government to bring in the “agent of change” principle across Wales to protect all Welsh music venues. On Saturday 29th April, we will be marching on Cardiff City Hall to seek protections for our grassroot music venues. Womanby Street is the beating heart of live music in South Wales and must be protected. If this street doesn’t exist, your next favourite band wouldn’t either.